The Frugal Family Life: Kellogg's Family Rewards 200 Bonus Points! Kellogg's Family Rewards 200 Bonus Points! 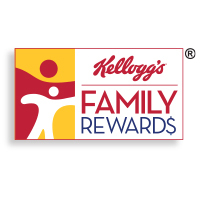 Kellogg's Family Rewards is a great way to earn bonus, exclusive coupons! Here are a couple of FREE rewards codes for you if you're already a member. And if you're not a member, you can join here and get 50 bonus points when you enter code JOINKELLOGG2SAVE in addition to the codes below! Women's Yoga Workout Pants ONLY $7.72! Walmart :: Huggies Diapers Just $4.97! Amazon :: Any Movie Rental for Only 99 Cents! *HOT* $3/1 Huggies Diapers Coupon!